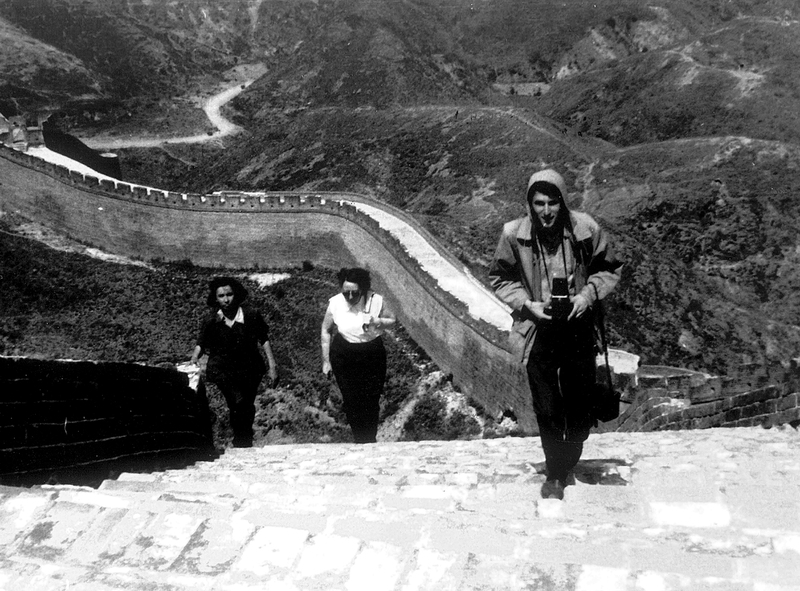 Pierre Ryckmans, who wrote under the name Simon Leys, on the Great Wall of China, 1955. Carlton: La Trobe University Press/Black Inc., 664 pp. This article was first published in the June 28, 2018 issue of The New York Review of Books. outlived himself by some twenty years. If he had died a few years after the Liberation, he would have gone down in history as one of China’s most momentous leaders. Unfortunately, during the last part of his life, by stubbornly clinging to an outdated utopia, by becoming frozen in his own idiosyncrasies and private visions . . . he became in fact a major obstacle to the development of the Chinese revolution. For nearly 30 years Mao had been the only fixed point in the tumultuous life of China. In the mid-1960s the uprising of the Red Guards, zealous high school students who attacked Mao’s enemies, had made the People’s Republic an epicenter of youthful rebellion, and although my original interest in China was inspired by Taoism and classical literature, I was also enamored of contemporary politics. Paquet tells us that Ryckmans was “vexed by the idea that a biography might one day be devoted to him,” and he liked to quote the Polish poet Czesław Miłosz: “All biographies are obviously false. . . Biographies are like shells; they don’t tell you much about the mollusc that lived in them.” Nonetheless he gave Paquet his unstinting support. He opened up his extensive files, which were, it must be said, more thorough than the clumsy dossiers the Chinese authorities assemble on their hapless citizens. He also gave Paquet long interviews, kept up an extensive correspondence with him, and provided him with unpublished autobiographical notes. Ryckmans’ many published works—masterful studies of the late-dynastic artists Su Renshan and Shitao; elegant translations of Shen Fu, Lu Xun, Confucius, and Simone Weil; a novel about Napoleon; an anthology of literature on the sea; nuanced essays on authors as diverse as Victor Segalen, Vladimir Nabokov, and Evelyn Waugh—continue to address readers with an immediacy that requires little explication. But for those interested in his Belgian lineage, the history of his nom de plume, and the details of his impact in France and elsewhere, this multifaceted biography is a revelation. Paquet gives meticulous, if sometimes overwrought, accounts of the controversies and fiery exchanges that were a feature of my teacher’s life. The encounter with what he called the “other hemisphere” of humanity also left him “convinced of this obvious fact: not learning Chinese was inconceivable.” With the People’s Republic of China closed to Western students, in 1958 he went to study in Taiwan and for over a decade immersed himself in the peripheral Chinese world, in that island republic as well as in Singapore and Hong Kong. In Taiwan he married Chang Hanfang, a young woman from a family that had fled from the Communist takeover of mainland China, and after some years living in stretched circumstances with a young family in Hong Kong, he eagerly accepted a well-paid job teaching Chinese at the Australian National University in Canberra. Frequent leave from his teaching duties allowed him to visit and work in Hong Kong and the People’s Republic. As a result of those forays he continued to observe the unfolding drama of Mao’s China and evolved from his early enthusiasm to become one of the most controversial and sharpest polemicists of his time. Unlike most polemical essays, however, Leys’ writings on Mao’s China have endured, on account of their intellectual honesty and literary excellence. absorb industrial quantities of the most indigestible stuff; reading Communist literature is akin to munching rhinoceros sausage, or to swallowing sawdust by the bucketful. . . [The China watcher] must know how to milk substance and meaning out of flaccid speeches, hollow slogans, and fanciful statistics; he must scavenge for needles in Himalayan-size haystacks; he must combine the nose of a hunting hound, the concentration and patience of an angler, and the intuition and encyclopedic knowledge of a Sherlock Holmes. Paquet has nonetheless brought to light a wide range of unknown riches from Leys’ archive: 20 unpublished translations from Sima Qian’s Records of the Grand Historian; notes made over 15 years for a work on Lu Xun; material assembled for a comparative study of that writer and his brother, the essayist Zhou Zuoren. Leys, we learn, even wrote a second, unfinished work of fiction after the award-winning novel The Death of Napoleon. “He and Hanfang could not agree on the plot’s resolution,” Paquet informs us.